I recently joined the forum and I have a question. Does anyone know what kind of tree this is? The photo is not very clear as there are other plants in the background. Is it a cherry or plum tree? The leaves are plum or crabapple like. Are the flowers double? Yes, the flowers are double. 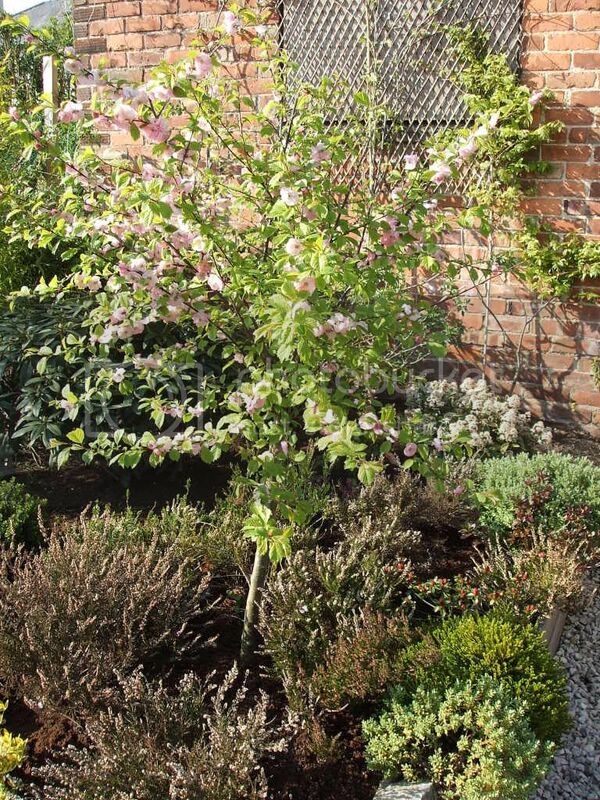 I have looked at a Japanese Weeping crabapple I already have and they do look similar. I have just taken some more pics for you. It looks to me like flowering almond. Trying googling Prunus triloba. Hi Al, I have looked it up as you said and it does look like a Prunus Triloba. We love it anyhow as it has lovely pink flowers on it now. I agree with Al. Let us know if it develops fruit and what it looks like. I agree with Al, Prunus triloba. Just ornamental, no fruit. On the picture I post, it is pruned to shrub, every year after flowering is pruned back very hard. It is in my friend's garden in Hungary, the picture was too big, I had to make a photo from the screen, not the best quality.